When deciding whether to remodel a rental property, a cost-analysis should take into account whether the property is tenant-occupied. Otherwise, the decision to inconvenience the existing tenant for the sake of future tenants may lead to income loss. 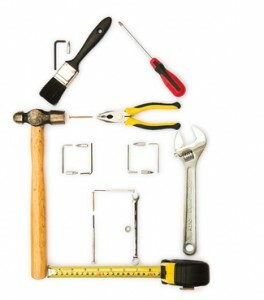 First, it’s important to make a distinction between upgrading the property and repairs or maintenance. Repairs are a legal requirement and should be completed as soon as possible. Maintenance should run on a predetermined schedule which can be addressed in the lease agreement. A remodel makes sense only if it supports future rent increases or secures a good tenant long-term. Otherwise, the cost may not exceed the potential for liability. A strategy used by seasoned investors for upgrading properties is a planned vacancy. By scheduling the upgrade when the unit is empty, there is no chance of upending the current tenant, violating the tenant’s privacy, or having to hire contractors around the tenant’s schedule. Also, this avoids an argument with an existing tenant over a rent increase. Remodeling an occupied property is tricky business for landlords. If the tenant is displaced, inconvenienced, robbed, or otherwise unhappy, that can lead to a claim for breach of the lease. The landlord has a duty to protect every tenant’s privacy and quiet enjoyment. In a typical dispute for quiet enjoyment, a landlord may be required to refund the rent, or pay damages that exceed the rent. A few years ago, a landlord in Los Angeles was ordered to pay a tenant $22,865 for entering the rental unit without providing prior notice. There, the judge awarded $11,250 for the violation of the covenant of quiet enjoyment, and $3,100 for emotional distress. The remainder was a penalty for violating the local rental statutes. In cases where remodeling causes a loss of quiet enjoyment, there is potential for the damages to be even greater. That potential for income loss should be weighed against the cost of a planned vacancy. The tenant receives some other concession that makes it worth the inconvenience of living in a construction zone. Stay involved with the project so that tenants are not managing the contractors at the property. Previous post: Landlord Suspects New Tenant is a Fraudster: Now What?